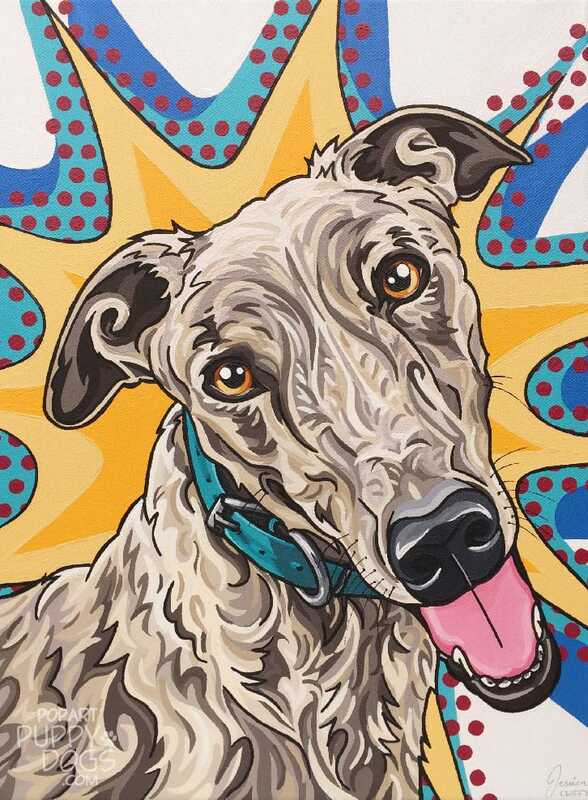 Jessica Marie has been an artist and animal lover all her life and especially enamored with Pop Art, but it wasn’t until 2014 when she adopted a whippet, Finn, that her passions suddenly clicked together. Jessica shared with us that her website did not always communicate her story and her passion so clearly. Jessica really took this new storytelling skill to the next level on her Instagram page, where she uses Instagram Stories in a very creative way to showcase her pieces and bring in new business by appealing to lovers of specific dog breeds. Pictured here they are the circles under her bio- each is its own story with several parts. After taking How to Sell Your Art Online, Jessica attended her first real art fair. She found that because she implemented what she was taught in the course, she was very well prepared with a cohesive brand across her website and social media accounts, prepared with an email marketing system in place, and ready to share her story and start making sales. At her very first art show she booked 10 commissions, and at the time that we interviewed her in June of 2018, she was already booked out for a solid 6 months and actively booking commissions for 2019. Way to go, Jessica! 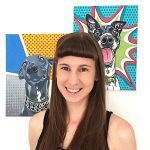 Jessica has taken her momentum and enthusiasm and is currently working to build a community for pet portrait artists- the Instagram handle is @petportaitparlour. As a final note, we asked Jessica for any final feedback on the HTSYAO course and any recommendations she has for other artists. Jessica: “I love the encouragement that your course gives us to step away from your easel and get to know the people who admire your art in your community. This, as well as the importance of story, you do really well. It’s been a journey, I did the course back in 2016 and have been working on implementing it bit by bit ever since. To find out if How to Sell Your Art Online is the right course for you, learn more here. 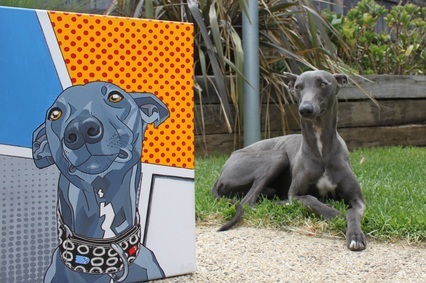 Jessica Marie paints pop pet portraits out of Melbourne, Australia. 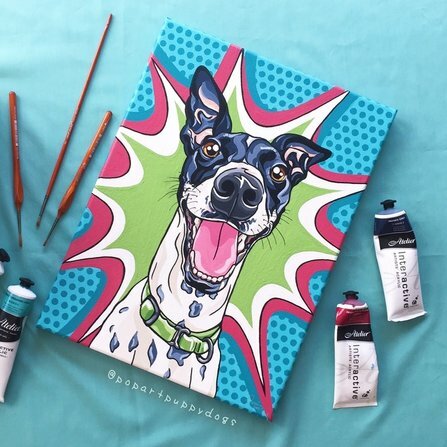 You can see more of her work at popartpuppydogs.com.